Summer is still in full force as sticky August settles a thick cloud of humidity over Philadelphia, but fall marathon training must go on for many Philly runners. Luckily, there are plenty of scenic places for runners to choose from in and around Philly as they ramp up long-run mileage each weekend. 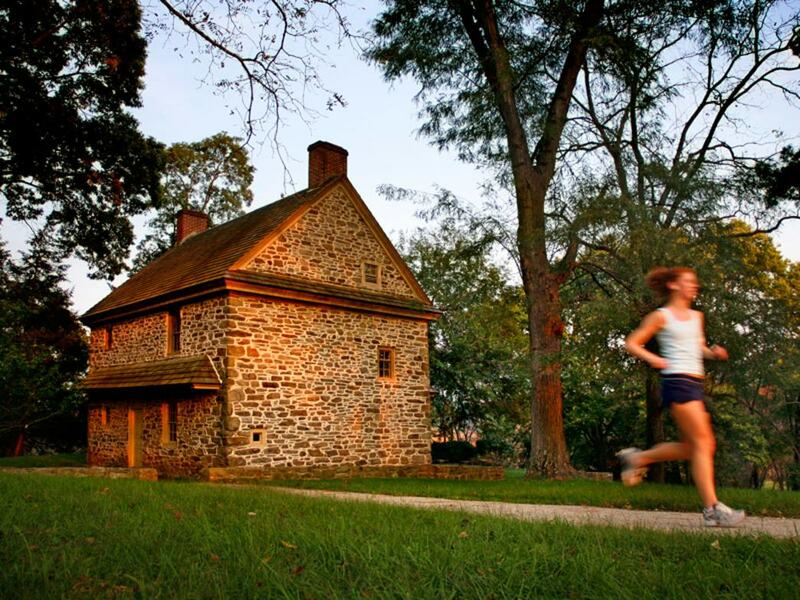 Whether it’s a sunny, paved pathway or a shaded, gravel trail, make sure to hit up one of these top 5 spots for Philly long runs this training season. The most obvious and popular spot on our list is worth noting first, as it’s a rite of passage for every marathoner—from the first time novice to the experienced Boston Qualifier. Start the 8.4-mile loop at the Art Museum, head north up Kelly Drive on the east side of the river to white Falls Bridge. Cross over the river to MLK Jr. Drive (West River Drive) and head back down to the Art Museum to finish the loop while catching a beautiful view of famous Boathouse Row. This loop provides almost no shade, but you might get a nice breeze off the river on a windy day. During the warmer months, there are a few water fountains on the trail—one at Lloyd Hall, one just south of the Falls Bridge, and one on MLK Jr. Drive near Montgomery Avenue. BONUS MILES: Tack a couple extra miles onto your long run in Center City by continuing south on the beautiful Schuylkill Banks, which runs behind the Art Museum next to the river, all the way down to South Street. Alternatively, head onto Main Street in Manyunk at the north end of the loop, and connect with the Manayunk Tow Path, which runs along the Schuylkill Canal. 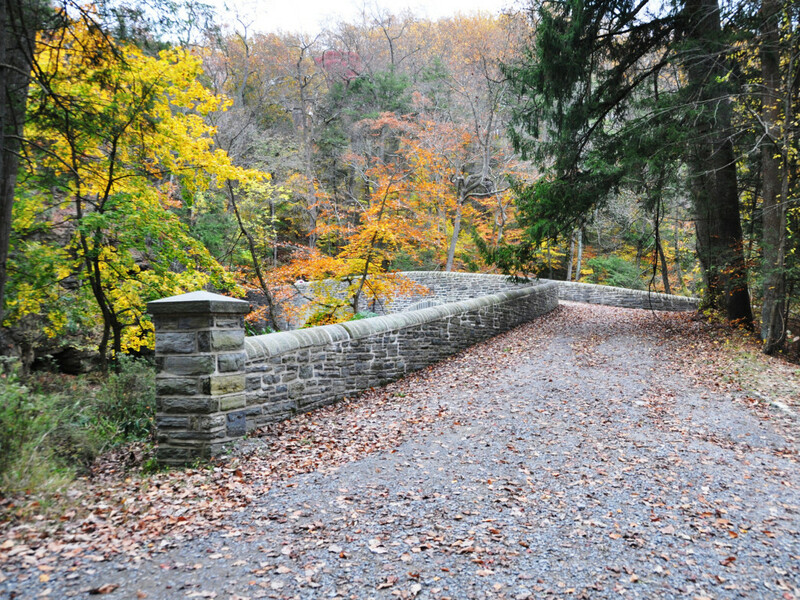 Not too far from The Loop lies Forbidden Drive, a 5.5-mile dirt and crushed stone path that snakes through Wissahickon Valley Park alongside the Wissahickon Creek. In the warm summer months, this wide, shaded, mixed-use trail is a lovely escape from the hot city streets. For a fairly flat 11 mile out and back run, park on either end of the trail at Northwestern Avenue in Chestnut Hill or off of Lincoln Drive in Manayunk. If you're feeling adventurous, split off onto one of the many singletrack side trails in the park, just be prepared for some rocky, rooty, and hilly terrain. BONUS MILES: Once you hit the Manayunk end of Forbidden Drive, where it meets busy Lincoln Drive, head right down the bridge and connect to the 1.5-mile Wissahickon Bike Trail. When you hit Ridge Avenue, head right down Main Street in Manayunk or cross Ridge Ave and continue along the Kelly Drive to connect with The Loop. 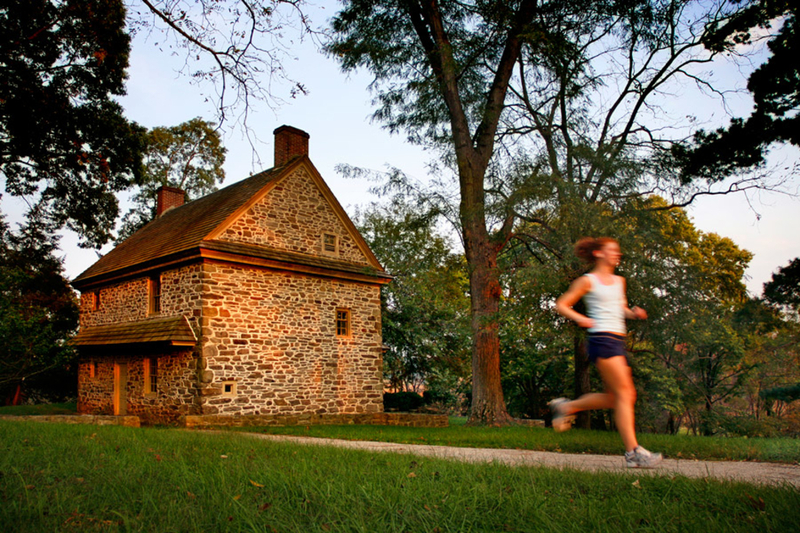 If you're training for a hilly race, Valley Forge is the place to be. This National Park contains almost 30 miles of trails of all terrain. The most popular route for marathon training is undoubtedly the Joseph Plumb Martin Trail, which contains a hilly, paved 5-mile loop around the park. Though difficult, this loop is worth the sweeping scenic views of the meadows where Revolutionary soldiers once camped. If it’s trails you’re looking for, head to Mount Joy or Mount Misery for miles of steep singletrack. Be sure to check out a map and plan your route before heading out. 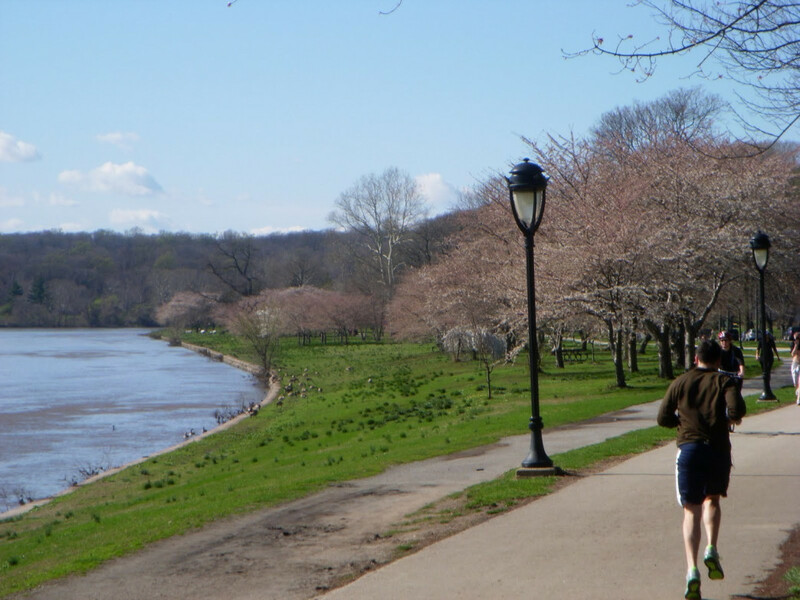 BONUS MILES: Connect to the Schuylkill River Trail, which runs along the river all the way into Center City Philadelphia, or the Perkiomen Trail, which runs 20 miles north through Montgomery County. 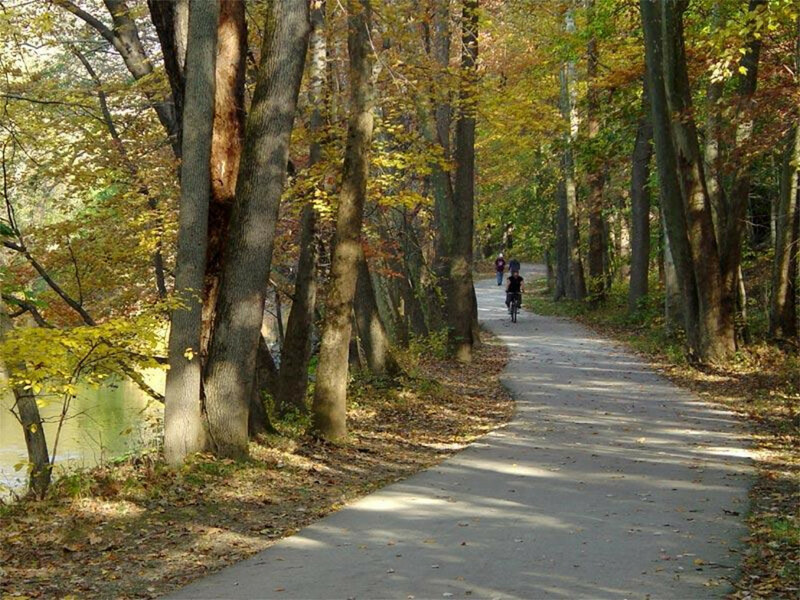 The Pennypack Trail, located in Northeast Philadelphia, is a 9-mile paved bike path that runs the entire length of the park and Pennypack Creek. This shaded path offers a quiet and peaceful escape from city streets for a long run on a hot day. The park is perfect for any type of race training, as the bike path is hilly in some areas and flat in others. Trail lovers can pop into many side trails, which wind into the secluded woods to form long loops. 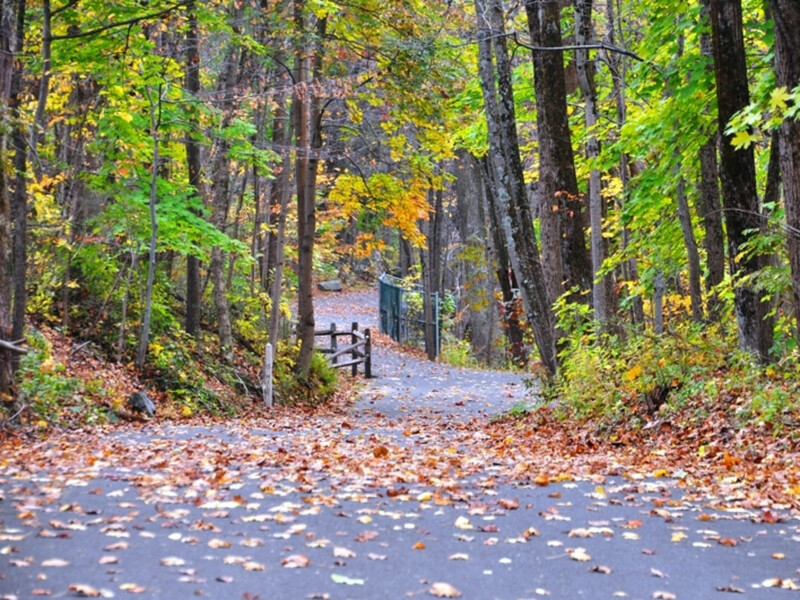 Park at the parking lot off of Pine Road, across from Fox Chase Farm for best availability and trail access. The Perkiomen Trail is a 20-mile, crushed-stone trail that follows the Perkiomen Creek from Green Lane to the Schuylkill River. The trail passes through the towns of Arcola, Collegeville, Schwenksville, and also runs through parks and points of interest such as Spring Mountain, Valley Forge National Historic Park, and Green Lake Park. Park at any of these access points listed here and head in either direction for a nice, long out-and-back run. BONUS MILES: Connect with the Schuylkill River Trail and Valley Forge Trails at the south end of the Perkiomen.